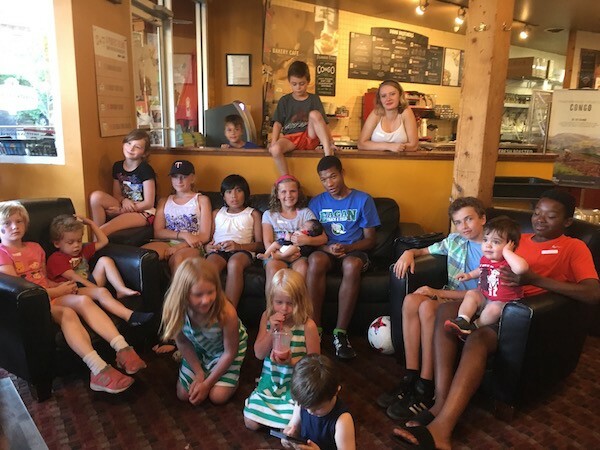 At a recent gathering of Choice Moms and Choice Kids, we celebrated community connection. After I offered up that quote, I began to wonder: Who connects who? What is a Choice Mom? A Choice Mom is a single woman who proactively decides to have a child on her own. She has determined that there isn’t an appropriate partner to join in intention to be a parent. Some of us — I was one — work 50-hour work weeks in corporate jobs before deciding to fulfill a new mission. She visits her doctor for fertility tests, or talks to an agent of adoption, and figures out how to become a mom, make ends meet financially, and raise the strongest child she can with the resources she has. In short, a Choice Mom is someone who simply, and in networked fashion, chooses motherhood. I am one of hundreds of thousands of women who make this choice. Through the privilege of being a writer — author of “Choosing Single Motherhood: The Thinking Woman’s Guide” — I have communicated with thousands of single mothers by choice since my daughter was born in 1999. In the last year alone, more than 100,000 have visited my ChoiceMoms.org website to learn what they can about this journey. Hundreds of women offered comments that are now shared in a 50-page e-guide, “Retrospective: 18 Years as a Choice Mom.” In it, I share not only what I learned along the way about myself — as someone who loved being a self-focused career woman — but stories from other women who are growing into new human beings by wearing the identity of parent. The basic nugget that emerged: Our growth comes in our enhanced connections to community. I have been mother to my daughter for 18 years. I lived in New York City 18 years. I lived in my parents’ home 18 years. Life in increments of 18 years is a luxurious gestation stage. And then, just like that, it becomes something completely different. In a few weeks, I begin the drive to deposit my oldest Choice Kid at college 2,000 miles away. As with any parent, this milestone has made me sentimental about the journey we’ve been on together. I look back from this island of time and remember how terrifying it was in my 8.9th month of pregnancy, to know that life’s unfolding would soon be upended by something weighing less than ten pounds. I recall 9/11 in New York City, when ambulances whizzed past my apartment window, and my two-year-old daughter danced in the living room, oblivious to the unfolding drama a few blocks away. I moved us back to my Minnesota roots the next year. I remember how she cried, not able to see me on a different floor of our new house. Now, I stand on a sandy shore of space — attempting to spot a new mass of land in the horizon, where the future will look very different than it is now. One thing my two children have taught me is this: the “to do” lists and worries give way, when I let them, to a type of flow. We like to think that we create our kids, giving them life, giving them breath. But I find it is our children who force us to stop and take a breath, who give us life, through the sheer necessity of needing to connect to a wider field of vision, to find the support and love that exists there. Our interconnectedness as human beings is shaped by our children. When they move on, it is up to each of us adults to take what they’ve taught us and continue to shape our world as community, not commodity. #4 Connection: Is Everybody Wiser Than Anybody?